ocreations recently designed vehicle wraps for Wolf Consulting, LLC, an IT solutions company in the Pittsburgh area. This was one of ocreations favorite vehicle wrap projects of 2018. 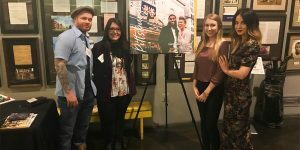 The team at Wolf Consulting was great to work with throughout the entire design process to come up with a final design and product that both ocreations and the team at Wolf Consulting are proud of. There are 9 wraps total, and each vehicle has a unique number on the back of it. Employees of Wolf Consulting have been driving these vehicles around for approximately 3 months. 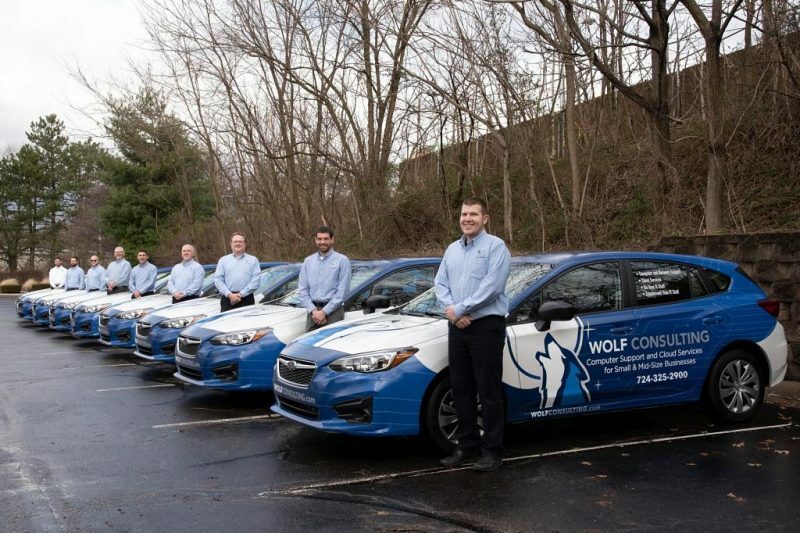 Wolf Consulting recently took a photo of the fleet of cars, and some of the employees who will be driving the vehicles. Keep an eye out for a “Wolf Pack” car driving around the Pittsburgh area!